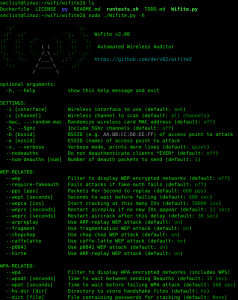 Browse: Home / wifite2 – automated wirelesss security auditor. 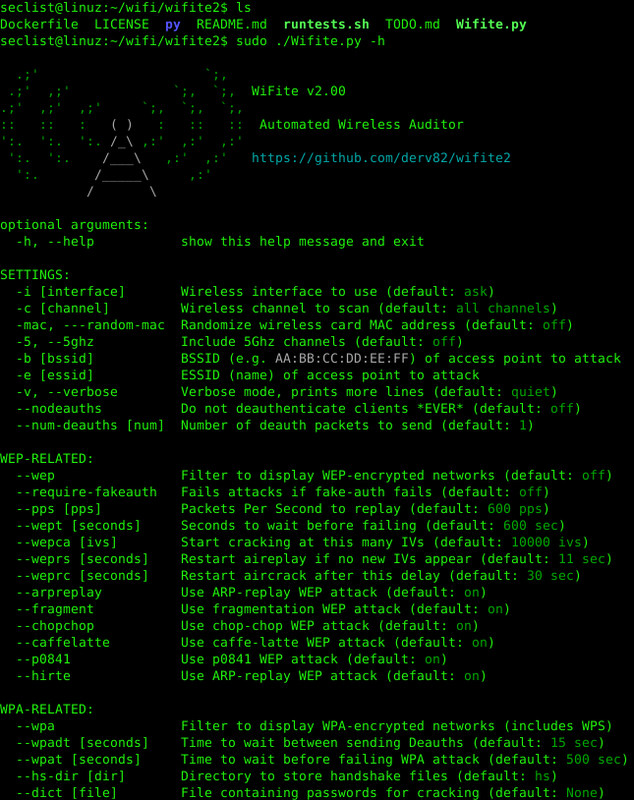 wifite2 a Python script for auditing wireless networks. + Lots of files instead of “one big script”. + Cleaner process management — No longer leaves processes running in the background. + UX: Target access points are refreshed every second instead of every 5 seconds. – Backwards compatibility with the original wifite‘s arguments. – Same text-based interface everyone knows and loves. + Stores cracked passwords and handshakes to the current directory, with metadata about the access point (via –cracked command). + Standard linux programs: iwconfig, ifconfig, which, iw. 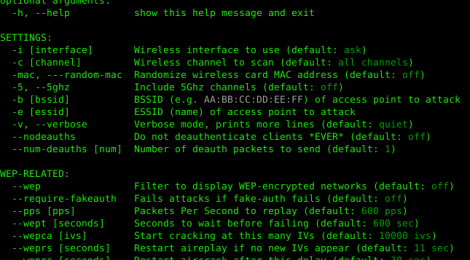 ← firecall – Automate SSH communications with firewall, switches, etc.